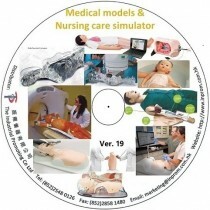 Education model 《KOKEN》 - Simulators & Medical Models - Product - The Industrial Promoting Co. Ltd. The development of astonishingly lifelike models for training makes a significant contribution to improving medical care. Koken continues to develop life simulation models which garner the highest evaluations from medical professionals worldwide. They contribute to ongoing improvement of medical techniques in various treatment situations.